Here is a piece of trumpet history. The great trumpeter John Wilbraham appearing as soloist but not on trumpet. 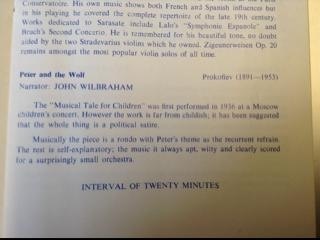 He was the narrator in Prokofiev’s Peter and the Wolf. The conductor was the legendary trumpeter Dennis Clift, too. Dennis Clift plays the trumpet part in the 1958 recording of Bach’s second Brandenburg Concerto; made for EMI by the Bath Festival Chamber Orchestra, and directed by Yehudi Menhuin. It’s an excellent recording – one of my favourite versions – and Clift plays the part brilliantly. Correction: “1958” should be 1959. “Menhuin” should be Menuhin. I’ve got a 1958 recording of the same concerto directed by Thurston Dart in which the trumpet part, again, is essayed by Mr. Clift. Am looking forward to hearing that. Have to get my new turntable up and running (the recording is on LP). 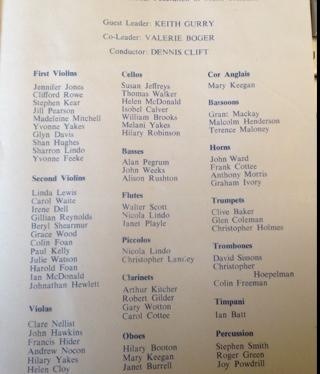 Mr Clift also spelt his name “Denis”, with just the one “n”.